The call of the wild. You haven’t heard it in years and you’re not sure you’d recognize it if you did. Break out of your routine and rediscover a world that lives beyond your office walls! Leadership teams quickly break down barriers while building stronger relationships. A leadership curriculum fostering personal growth is woven throughout the adventure segments. After sharing this experience, you’ll do things smarter, work better together and make more money. Better decision-making: Leaders who understand how to bring out the best in their people tap into the collective intelligence of their colleagues. - Increased camaraderie: Shared experiences build intimacy at an accelerated pace. People who like one another work better together. - Increased confidence: Moving beyond where we normally stop in an adventure setting bolsters our courage, inspiring us to move boldly in other arenas. Gee. Haw. Imagine a chorus of dogs barking with excitement upon a snowy mountaintop. They want to run, they want to go – where will you take them? 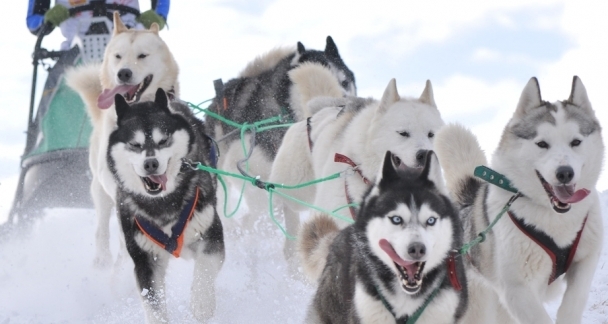 Explore the essence of leadership while experiencing the thrill of dog sledding, rock climbing, fire walking, horseback riding or whitewater rafting. Central to Leadership in Full Gear is time for participants to reflect upon their leadership skills. This “collective connection” and renewal process gets at the heart why your leaders are willing to lead day-in and day-out. Their discoveries can be the fuel that keeps them going through the rough organizational times. They’ll also learn ways to garner organizational support for company initiatives. Kick your leadership into full gear and set out on your adventure today. Yee ha! wishing you were out having lots of adventure." Click here to see their promo video. 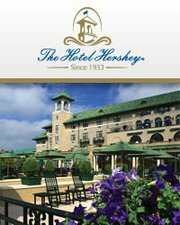 Call Susan Mahoney or Katie Schultz at 610.825.8000 to book your next retreat. Wow! The Kalahari Resort has got it all. 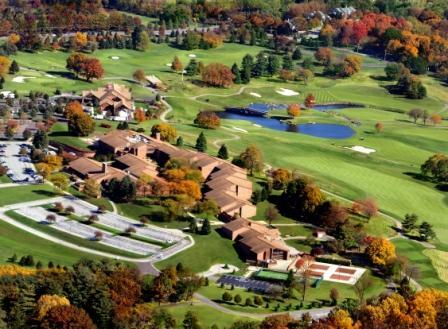 A first class convention space for business meetings plus a mega waterpark for families. All themed to make you feel like you are in Africa. No hunting for your meals is required, they offer a buffet option that doesn't dissapoint. To book your next retreat, contact our friend and Assistant Director of Sales Laura Lee Wren and tell her we sent you. 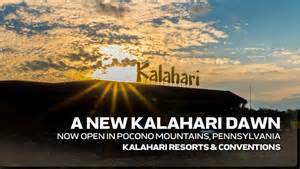 LWren@KalahariResorts.com or #570.236.2654.